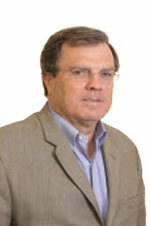 Bruce Peacock has been on the Board of Directors since 2014. During his career, he has held numerous senior leadership roles, including President and Chief Executive Officer of Alba Therapeutics, Adolor Corporation and Orthovita, Inc. Previously, he held positions at Ophthotech Corporation and at Cephalon, Inc., including Executive Vice President, Chief Operating Officer and Chief Financial Officer. Prior to this, he was Chief Financial Officer at Centocor. He is a member of the Board of Directors of Windtree Therapeutics, Invisible Sentinel, Aro Biotherapeutics, PanOptica, and Carisma Therapeutics. Mr. Peacock holds a bachelor’s degree in Business Administration from Villanova University and is a certified CPA.